XNA in or out of Windows 8? It is correct that XNA is not supported for developing the new style Metro applications in Windows 8.But XNA remains fully supported and recommended for developing on Xbox and Windows Phone, not to mention for creating classic Windows applications (which run on XP, Vista, Win7, and also Win8 in classic mode).Based on what was announced at //build this week, it’s really all down to what platform you are targeting. If you want to develop games for Win8 tablets, we recommend C++ and D3D11 (or XAML or HTML5 for more casual stuff). 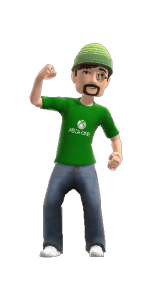 Whereas if you want to develop for Xbox or Windows Phone, XNA is where it’s at…There are many valid options for developing classic mode Windows games. XNA is a supported technology for doing this (just like it always has been), as is native C++, or .NET interop to native D3D, or any of the billion and one other programming products that target Windows.”we don’t comment on unannounced future plans in forum posts”. Sorry! XNA 4.0 (and probably 3.x, 2.0 and 1.x) games will continue to run on windows 8 as will all (with the usual rare exceptions) old software. We don’t know if there is plans for a managed API for accessing DirectX – right now the official statement is use C++/DX11 so it doesn’t sound like it. Your old installers should work just fine – windows is amazing when it comes to backwards compatibility. Nick – is there an official statement on support of XNA on ARM. We know that XNA will be supported on classic desktop but does that apply on ARM too? Nick GravelynThere is not an official statement; we (Microsoft) are not currently making announcements about Windows 8 on ARM. 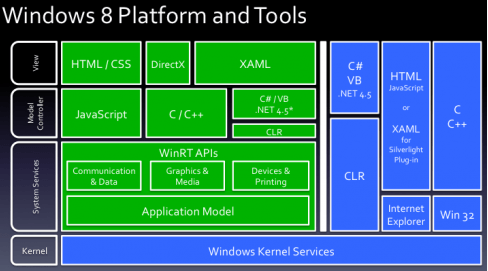 WinRT is the name for the APIs and runtime. 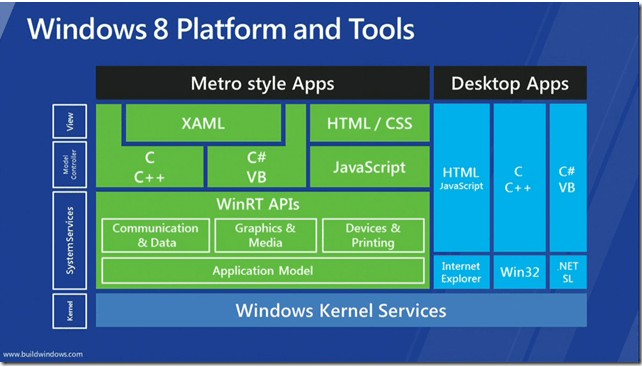 “Metro style applications” refers to the larger environment and application model around WinRT (including, but not limited to, the “Metro” UI style). As such if you write an app using WinRT you are writing a Metro style application. To be as clear as I can be, XNA Game Studio will not support WinRT or Metro style applications in Windows 8. Which shows the verticals for game development and XNA development slightly more realistically WRT the influence and contribution to the execution engine running on top of the Windows Kernel. From both perspectives XNA 4.0 runs on Win8. So what is everyone up in arms about? Charles Cox talk from//Build, but is confirmed again and again. XNA may not be involved in future iterations of Microsoft’s offerings on platforms running WinRT, for that you’ll need to look into WinRT development avenues, but as for XNA you may still be able to use it in Legacy Mode… There will be some programming avenue for game developers..! This entry was posted in Computers and Internet, Game Development, News and politics, Programming and tagged Silverlight, TCXNAUG, Win8, WinRT, WP7, XNA. Bookmark the permalink. 5 Responses to XNA in or out of Windows 8? Great article and well summed up. However, I would like to make one correction if at all possible. When you quote my article “Windows 8 and XNA” in the article, you incorrectly name me “Mike Preston”. My actual name is “Preston Moore”. I fixed it, thanks for the correction. How Microsoft does not want to support XNA – open source team who is developing beautifully MonoGame (which is working on iOS, Android, Linux, Windows, MacOs!) – is a guarantee of further development of this great library. I’ve Updated the post based on new developments….